SpaceX CEO Elon Musk has shared the “last pic” of his cherry-red Tesla roadster hurting towards the Asteroid Belt, after it was launched into space on Tuesday. The launch itself was historic, giving SpaceX claim to the most powerful operational rocket, the Falcon Heavy. 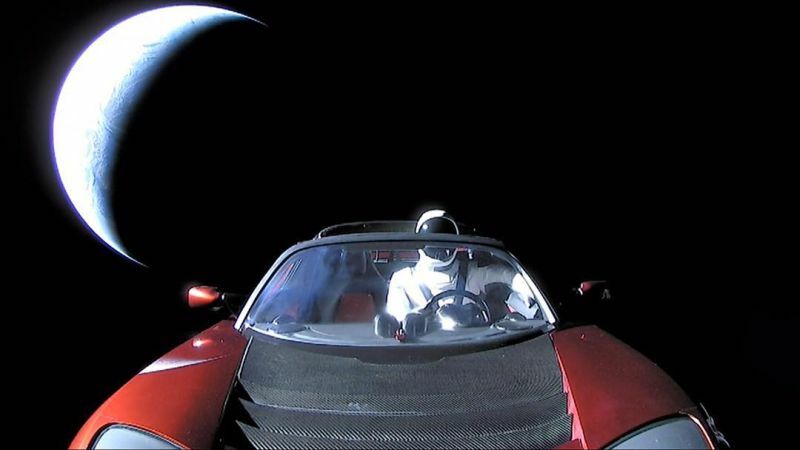 “Last pic of Starman in Roadster enroute to Mars orbit and then the Asteroid Belt,” he wrote on Instagram. And with the caption, he included an image taken looking down the bonnet of the Tesla, looking down at the Starman (the dummy pilot at the wheel), and night-time side of planet Earth in the background. It looks like something he could’ve dreamed up in Photoshop, but that probably lends to the surrealism of a car orbiting the planet. The post has been liked 1.4-million times since it was posted on Thursday.